Merry Christmas! I know, this isn’t what you were expecting. But I figure, everyone is on sugar overload, and wouldn’t it be nice to find a very easy and healthy veggie dish that you’ll actually crave? Well, here it is. I never thought I’d use the words “cauliflower” and “addictive” in the same sentence, but here it is. Today is the day. 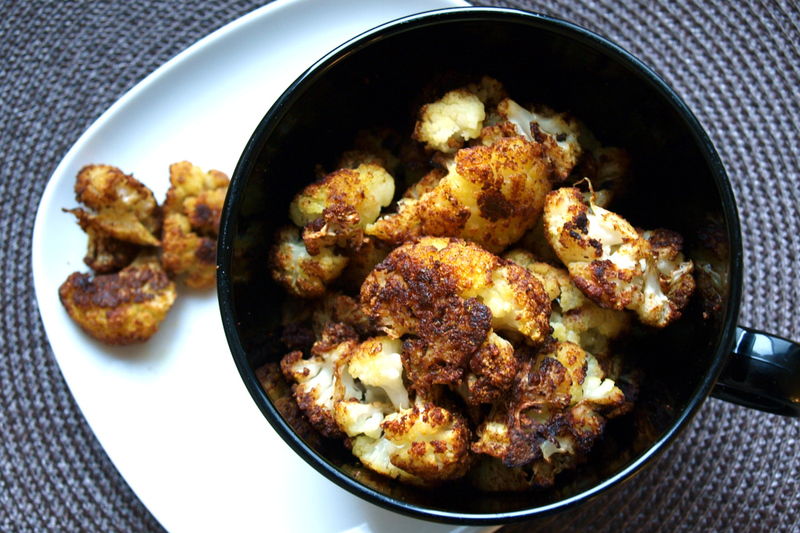 This cauliflower popcorn is ridiculously addictive. Eat-straight-out-of-the-oven, barely cooled off addictive. (Don’t try that at home). I had seen the phrase cauliflower popcorn here and there online. I’ve never been a lover of cauliflower. I never hated it, but I never announced that we simply had to run out and get some more…and that I could eat it every day, but with this recipe that’s what happened. It’s hard to describe these…they get crispy on the outside, but stay moist on the inside. And there’s a definite sweetness to them. I adapted this from this Kitchen Scraps Recipe which was absolutely delicious. That one was eaten straight out of the oven, before we had time to serve it with dinner as intended. The second time around, I thought I’d try my hand at my own version, so here it is! I’d only heard of raw cauliflower popcorn before (basically just raw cauliflower cut up into small pieces with nutritional yeast and cayenne pepper). Looking forward to giving this cooked cauli popcorn a try! Thanks for stopping by, Matt! I hope you enjoy it 🙂 Lately I’ve been following this recipe, but doing a mixture of cauliflower, beets and sweet potato pieces. It’s delicious. Oh Jah! I’ve had that! Addictive is quite right. I mean seriously, recipes should always call for 2 heads of cauliflower, because by the time you get to serve this, there’s no way one can’t have made a serious dent in the initial quantity that they had. You just have one tiny little piece and first thing you know, you’ve wolfed down half the pan! Never tried with cinnamon though. Surprising, really, seeing as how I put that @*& on everything! I’ll definitely have to give it a try. Hi there. Garam masala is an indian spice. If you can’t find it, no worries: use a combination of nutmeg, cinnamon, cloves and curry powder (or cumin and turmeric). Probably all equal parts to make your own garam masala. Good luck! I love cauliflower! This looks amazing. I’m going to have to make this soon. Great, I hope you like it! Also, I’ve made this a few times since. I’ve found that if I don’t want to wait a whole hour for them to bake, I’ll chop the pieces smaller, only toss them once, and they’re done in half the time. Less “popcorn” sized, but equally delicious. Enjoy! I made this the other day! I have no garam masala so I used cinnamon, cayenne, paprika, and a touch of salt. Your warning was right and it didn’t even cool down or get transfered from the pan before I had eaten most of it. So glad you liked it! It is that addictive. Nice combo on the spices. 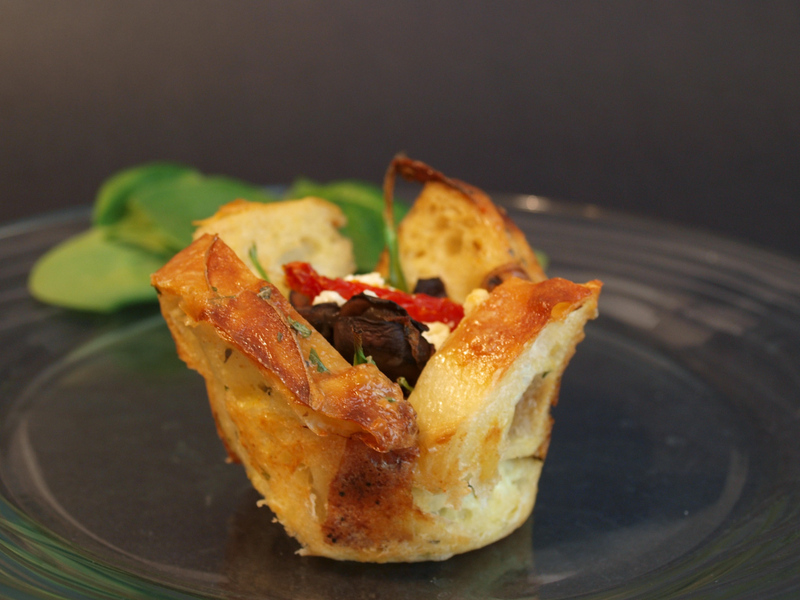 Its really versatile…you can mix it up to go with whatever you’re eating. I’ve done an italian herb one, paprika is great too. You lunch sounds good too! These were really tasty but in no way would I describe them as crispy on the outside. I’ll experiment a bit but do you think they need to bake longer? Or maybe I should crack the oven door to let out some moisture? Hi Aerin! I suppose you could try experimenting…they’re definitely more ‘crispy’ than a usual soft or steamed cauliflower, but not crispy like a chip. You don’t want to burn them by leaving them too long. Make sure the pieces aren’t too large, maybe? Let me now how round two goes, and thanks for stopping by!